» The Finance Commission came into existence in 1951. 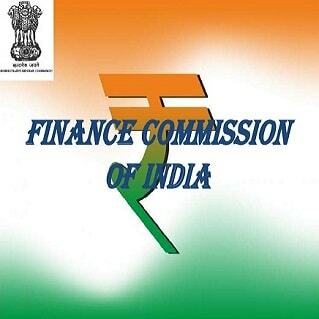 » The Finance Commission was established under Article 280 of the Indian Constitution by the President of India. » The Finance Commission was formed to define the financial relations between the centre and the state. » The Finance Commission Act of 1951 states the terms of qualification, appointment and disqualification, the term, eligibility and powers of the Finance Commission. » As per the Constitution, the commission is appointed every five years and consists of a chairman and four other members. Since the institution of the first finance commission, stark changes have occurred in the Indian economy causing changes in the macroeconomic scenario. This has led to major changes in the Finance Commission's recommendations over the years. » The First Finance Commission was appointed by the president on 20 November 1951, which was chaired by Mr. K.C. Neogy. Other members of the commission included Mr. V.P. Menon, Mr. R. Kaushalendra Rao, Dr. BK Madan and Mr. M.U. Rangachari. After Mr. V.P. Menon's resignation on 18 February 1952, Mr. V.L. Mehta was appointed as a member. » Till date, Fourteen Finance Commissions have submitted their reports. » The Finance Commission is constituted by the President every fifth year or at such earlier time as he considers necessary. It consists of a chairman and four other members. They hold office for such period as specified by the president in his order and are eligible for reappointment. » The Constitution authorises the Parliament to determine the qualifications of members of the commission and the manner in which they should be selected. Accordingly, the Parliament has specified the qualifications of the chairman and other members of the commission. 4. His financial and other interests are such that it hinders smooth functioning of the Commission. Every member will be in office for the time period as specified in the order of the president, but is eligible for reappointment provided he has, by means of a letter addressed to the president, resigned his office. » The members of the Commission shall provide full- time or part- time service to the Commission, as the president specifies in his order. So far, 13 Finance commissions(v. kelkar) have submitted their recommendations. More or less, all of them have been accepted by the Union Government. » Parliament. They are not binding on the Government but are conventionally accepted by the Government. What kind of work a Finance Commission has to do? 1. Distribution of net proceeds of taxes between Center and the States, to be divided as per their respective contributions to the taxes. 2. Determine factors governing Grants-in-Aid to the states and the magnitude of the same. 3. To make recommendations to president as to the measures needed to augment the Fund of a State to supplement the resources of the panchayats and municipalities in the state on the basis of the recommendations made by the Finance Commission of the state. Who is the head of the latest i.e. 14th Finance Commission? Former Governor of the Reserve Bank of India, Mr. Y.V. Reddy, is the Chairman. Who are the other members of the Commission? The Commission comprise Abhijit Sen, Member, Planning Commission; Sushama Nath, Former Union Finance Secretary; M Govinda Rao, former Director of National Institute of Public Finance and Policy; Sudipto Mundle, former Acting Chairman, National Statistical Commission; and AN Jha, Secretary to the Commission. What is the key recommendation of the 14th Finance Commission? 1. The share of states in the net proceeds of the shareable Central taxes should be 42%. This is 10 percentage points higher than the recommendation of 13th Finance Commission. 2. Revenue deficit to be progressively reduced and eliminated. 3. Fiscal deficit to be reduced to 3% of the GDP by 2017–18. 4. A target of 62% of GDP for the combined debt of centre and states. 5. The Medium Term Fiscal Plan(MTFP) should be reformed and made the statement of commitment rather than a statement of intent. 6. FRBM Act need to be amended to mention the nature of shocks which shall require targets relaxation. 7. Both centre and states should conclude 'Grand Bargain' to implement the model Goods and Services Act(GST). 8. Initiatives to reduce the number of Central Sponsored Schemes(CSS) and to restore the predominance of formula-based plan grants. 9. States need to address the problem of losses in the power sector in time bound manner. 1) Which Article in the Indian Constitution provides for the Finance Commission? 2) What is the constitution of the Finance Commission? 3) Which of the following roles/functions/responsibilities are NOT under the purview of the Financial commission? 4) In which year did the Finance Commission of India came into existence? 5) Who was the Chairman of the First Finance Commission of India that was appointed in 1951? 6) Who is the Chairman of the 14th and current Financial Commision of India that was appointed in 2013? 7) The 13th Finance Commission of India, whose Chairman was Vijay Kelkar, had allocated what percentage of central tax revenues were shared by the Center with the states? 8) Who was the Chairman of the 13th Finance Commission of India?